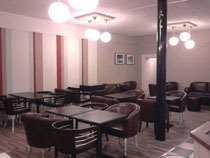 of the building work we offer. 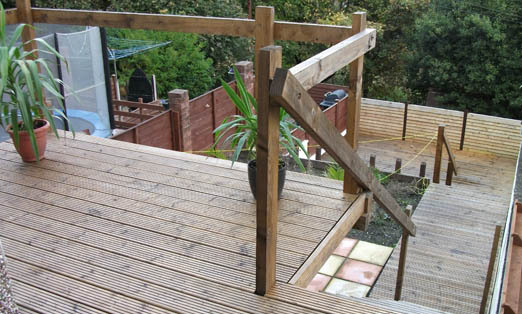 We offer a wide range of building maintenance and renovation services across Wales but predominantly in South East Wales covering Gwent, Glamorgan and Monmouthshire. 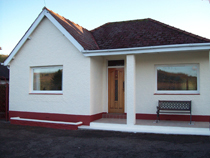 Wales Builders specialises in the renovation of existing properties rather than the construction on new builds. 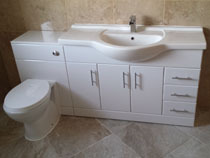 If you are looking to fit a new kitchen, bathroom, convert a garage, plaster over dated artex or just modernise your property in general we can satisfy your needs. 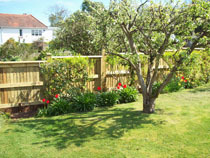 Clients and their homes have benefited from our realistic and professional approach to home improvements, because of this, much our work comes via recommendations from our satisfied customers. 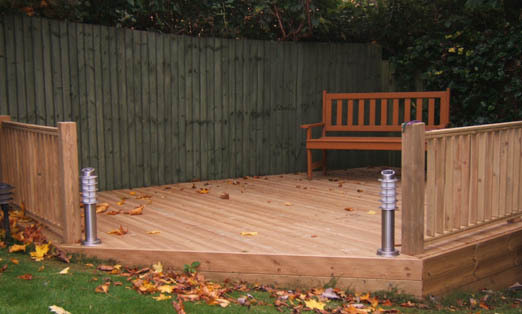 Please take a few moments to view testimonials from customers of recent projects who have been kind enough to write a few words about their experience with Wales Builders. 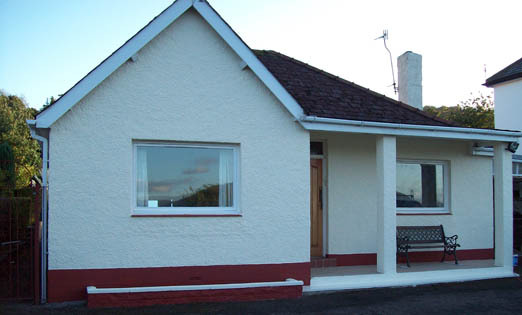 Wales Builders offers a complete property refurbishment service, from the initial gutting and clearing to the fitting of the carpets. 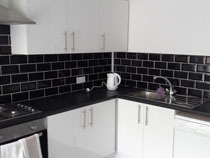 The kitchen is often called the heart of the home and every customer has different requirements and expectations for their kitchen refurbishment. 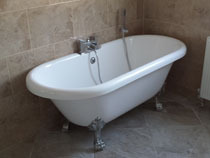 if you require a full bathroom refurbishment and are in Central or South Wales Wales Builders can help. 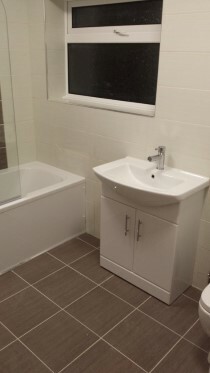 We offer a range of tiling solutions for the various rooms of your property across Wales. 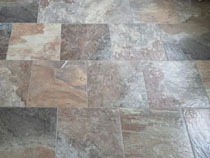 Both floor and wall tiling are undertaken using a range of materials. 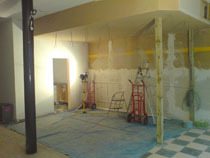 Whether you just want to skim over dated artexed ceilings, or you have a new build with specific boarding and plastering requirements. 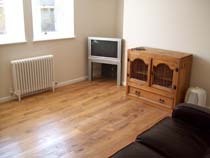 Large selection of laminate and real wood flooring available to choose from including oak and bamboo. 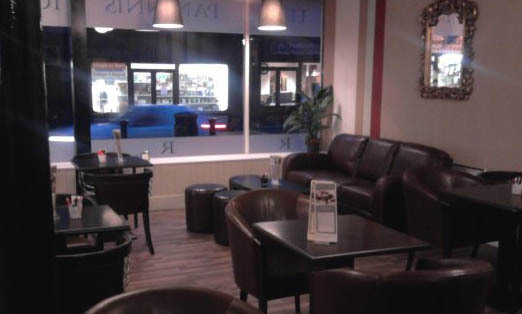 Domestic and commercial work undertaken, Rewires, additional sockets, new light fittings, inspection and testing. 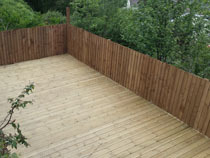 Throughout South Wales from Cardiff to Ebbw Vale customers of Wales Builders are enjoyingdecking designed and installed to the high standards our customers expect. 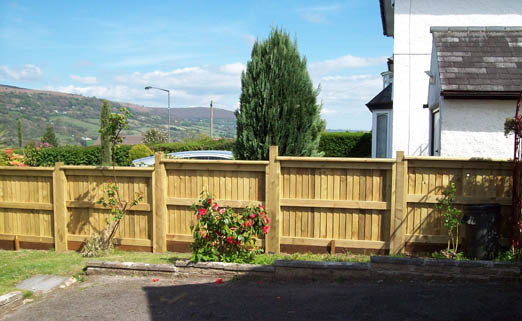 We have erected fences accross South Wales in a range of styles including panel, picket and our speciality featheredge. 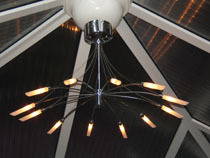 Internal and external painting and decorating in Gwent, Glamorgan and Monmouthshire.